terminals, microphone jacks, earphone jacks, etc.). See table 1 below. microphone jacks, earphone jacks, etc.). See table 1 below. output terminals, microphone jacks, earphone jacks, etc.). Audio in, Audio out or Fixing screw etc.). Connect milli ohm meter between earth pin in AC inlet and exposed accessible parts. 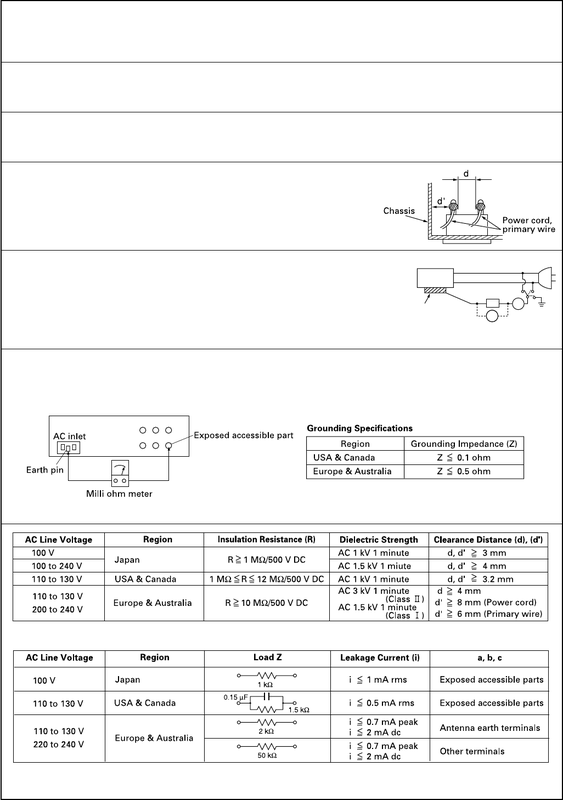 See figure 10 and grounding specifications. Note: These tables are unofficial and for reference only. Be sure to confirm the precise values for your particular country and locality.